Apple today seeded the fifth beta of an upcoming macOS High Sierra 10.13.2 update to developers, a week and a half after seeding the fourth beta and a month after releasing the macOS High Sierra 10.13.1 update. 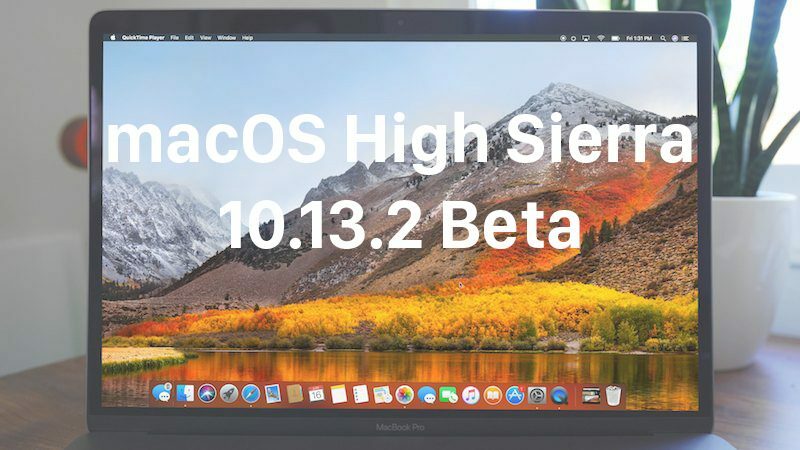 No significant new features were discovered in the first four betas of macOS High Sierra 10.13.2, but we'll update this post should notable changes be found in the fifth beta. The previous update, 10.13.1, introduced fixes for some serious security flaws and brought new emoji to the macOS operating system. Update: Apple has also released a new beta of macOS High Sierra 10.13.2 for public beta testers. Sign of the times that a beta update to ATV makes the front page, but beta update to OSX only makes "More MacRumors Stories"
2.99 gigabytes on MBP 2016, 13" TB. Hurrah! Thanks for that - I was hoping at some point a release would come and sprinkle some magic dust! It's probably less because it installed the Recovery Update but not the rest. This might be the last time i'm an early adopter. I've had nothing but issues with my 2016 MBP - have to restart if I want to attached a second external monitor and when I do that my Drobo doesn't mount until I restart that. And quite a lot of hangs/spinning beachballs that need a restart - I've not restarted a Mac so much since OS 9! None of that happened in plain old Sierra. First let me say, I'm not an expert at computers by any means. I mostly use iOS for my work. However, High Sierra has been a mystery to me. We have four MacBooks in my home, two on Sierra and two on HS. Both of the MacBooks on HS, a 2015 rMBP and a 2016 12 inch MacBook, developed really bad wifi connection issues. I checked the firmware on my router and it was up to date. I finally took my 2015 rMBP to Apple yesterday for a genius appointment. I had video on my phone of the connection issues and the wifi diagnostics on the MacBook. Apple couldn't did a fresh instal back down to Sierra and magically the connection issues went away. I know HS is installed on tons of Macs with no issue but that wasn't the case with the two that I update. Deleting /Library/Preferences/Systemconfiguration might have done the trick instead of a run to an Apple store and a clean install. Next time you have issues try the above method, you do loose all network settings though, so make a backup of that folder before you delete that folder. Is the quick look bug one where when you quick look a JPG image, zooming in appears choppy and looks like it changes colour space mid way? For me it uses the dGPU for some strange reason and prohibits external drivers to be ejected until I relaunch finder. Also if I use it too much it crashes finder. Hopefully somebody will have an answer for you, it hasn't happened to me.